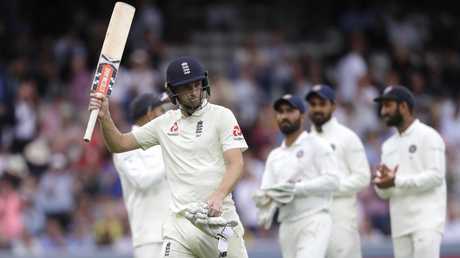 ALLROUNDER Chris Woakes struck his first Test century to guide England to 357-6 and a commanding 250-run lead over top-ranked India at stumps on day three of the second Test at Lord's. Having come together shortly after lunch with England struggling at 131-5, Woakes (120 not out) and Jonny Bairstow (93) shared a match-changing stand of 189 through to 320-6. England's highest sixth-wicket partnership against India has given the hosts a good chance of moving into a 2-0 lead over India in the five-match series. The forecast of further rain over the final two days appears to offer India's best chance of avoiding defeat. England had looked like wasting an inspired bowling performance that dismissed India for 107 in its first innings on a rain-interrupted second day. That followed a first-day washout in London on Thursday. Mohammed Shami (3-74) removed Keaton Jennings (11) and then England captain Joe Root (19) with the last ball before lunch, both of them leg-before dismissals, to leave England 89-4 at the end of the opening session. In between Shami's strikes, Ishant Sharma had Alastair Cook (21) caught behind and Hardik Pandya (2-66) removed England debutant Ollie Pope for 28 to help bring India back into the match. When Buttler went, England appeared in danger of producing another disappointing batting display. 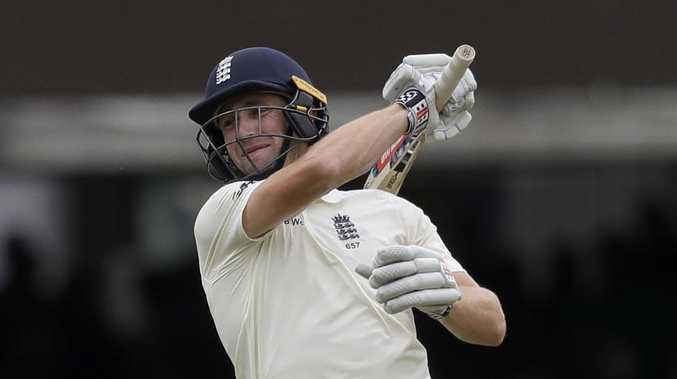 Woakes surged past Bairstow and reached his first test century off just 129 balls, with a total of 18 boundaries in his innings. 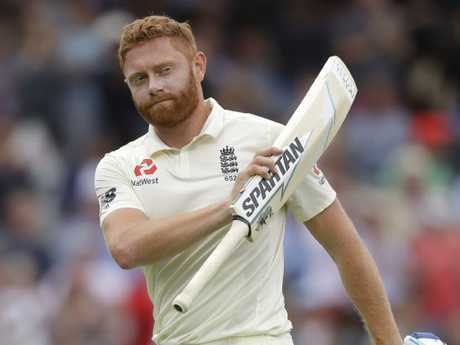 Bairstow fell agonisingly short of his second test century at Lord's, edging Pandya through to wicketkeeper Dinesh Karthik for the only wicket of the final session. Sam Curran struck 22 not out from 24 balls as India's bowlers, particularly spinner Kuldeep Yadav, struggled to maintain their discipline. Woakes is playing in place of Ben Stokes, who was forced to miss the second test as he stands trial in a court in Bristol charged with affray. Stokes starred as England won a tense series opener by 31 runs at Edgbaston.